Earlier this week, I stepped into the wild world of my favourite forest. It’s not far away from my home but during the winter months I tend to forget about it. As soon as I entered the shelter of the trees I felt as though I was returning to the comfort of a dear old friend. The aroma of the cedar awakened me from a long winter’s sleep. 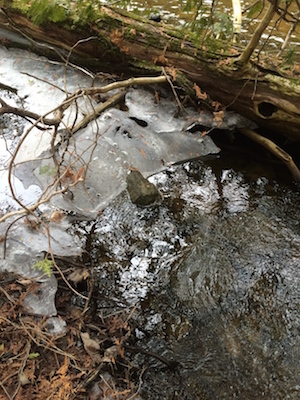 As I meandered down the trail I was greeted by the rumbling “swoosh” of the creek, high with spring’s melt. I sloshed through mud, got tangled in branches and mesmerized by flitting birds. I returned home feeling refreshed. Step into nature’s embrace and come alive!